These chew sticks and bites are Soopa tasty and packed full of Soopa foods too! Not sure which is best? Try Kale & Apple for immune support, Cranberry & Sweet Potato for dental hygiene and Carrot & Pumpkin for digestion. 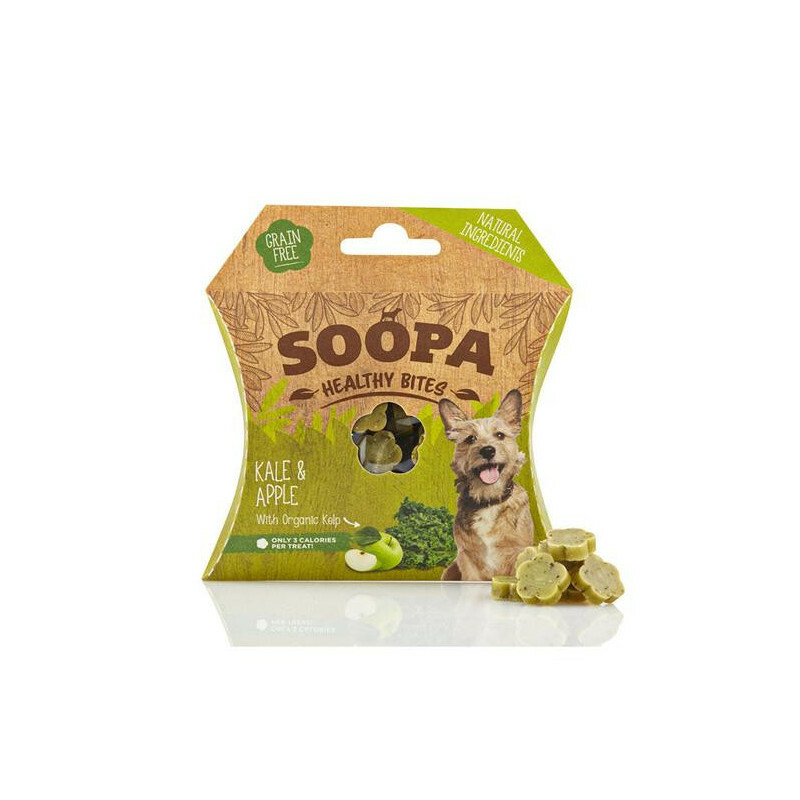 These healthy dog snacks grain free and packed full of healthy plant based ingredients. 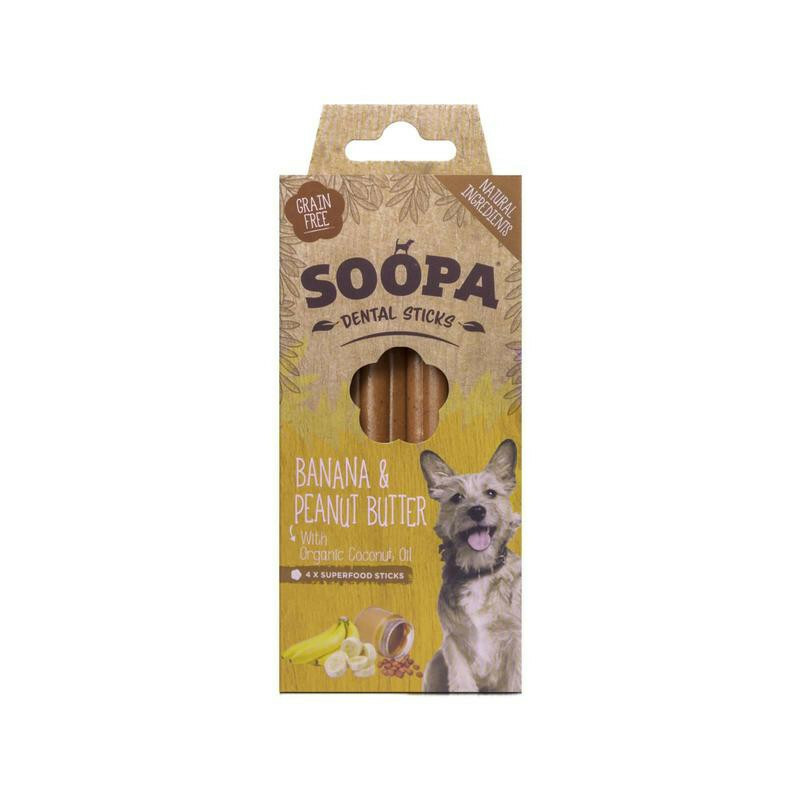 All the raw ingredients are sourced from the EU and the treats are made in Ireland. Choose the sticks for a longer chew, or for larger dogs. Choose the bites for a quick treat or for smaller dogs. 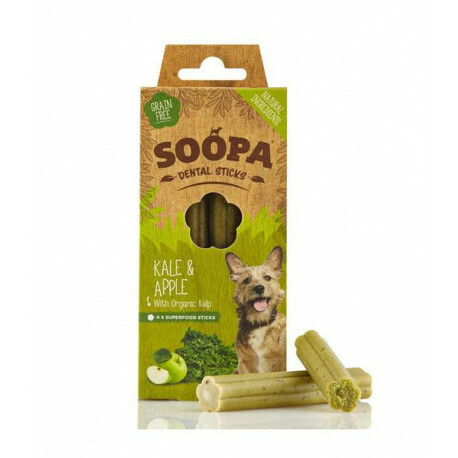 Made from Kale, the ‘Queen of Greens’, which has anti-cancer and immune boosting properties. Chock-fill of antioxidants, iron, calcium and important vitamins. 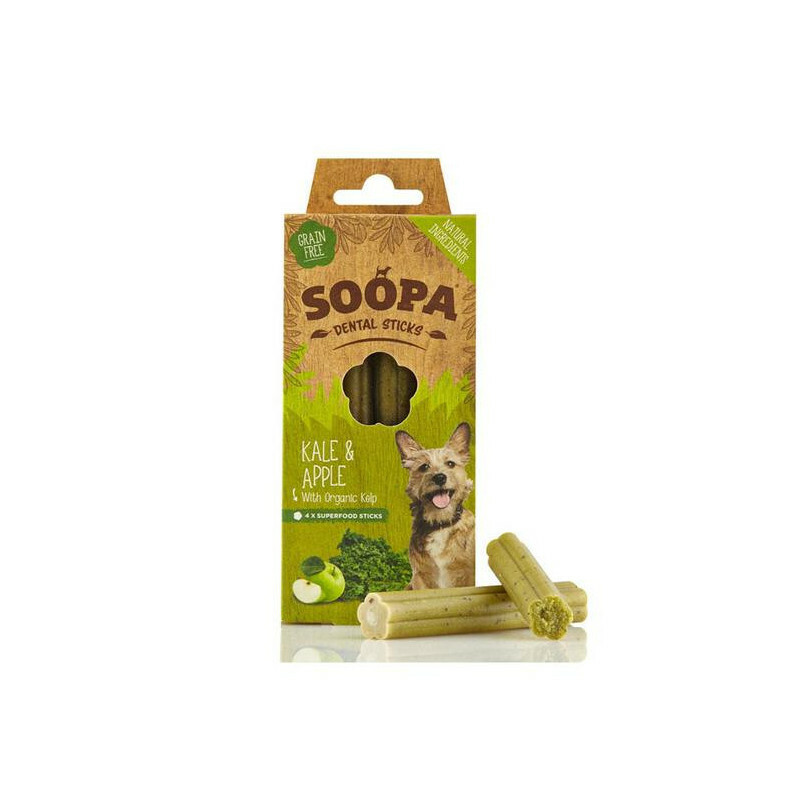 The treat also contains kelp, one of the planets most nutrient-dense foods around, great for your dog’s skin, coat, nails and teeth. Pumpkin seeds are known as ‘Power Seeds’ because they are so good for skin, coat and digestion. 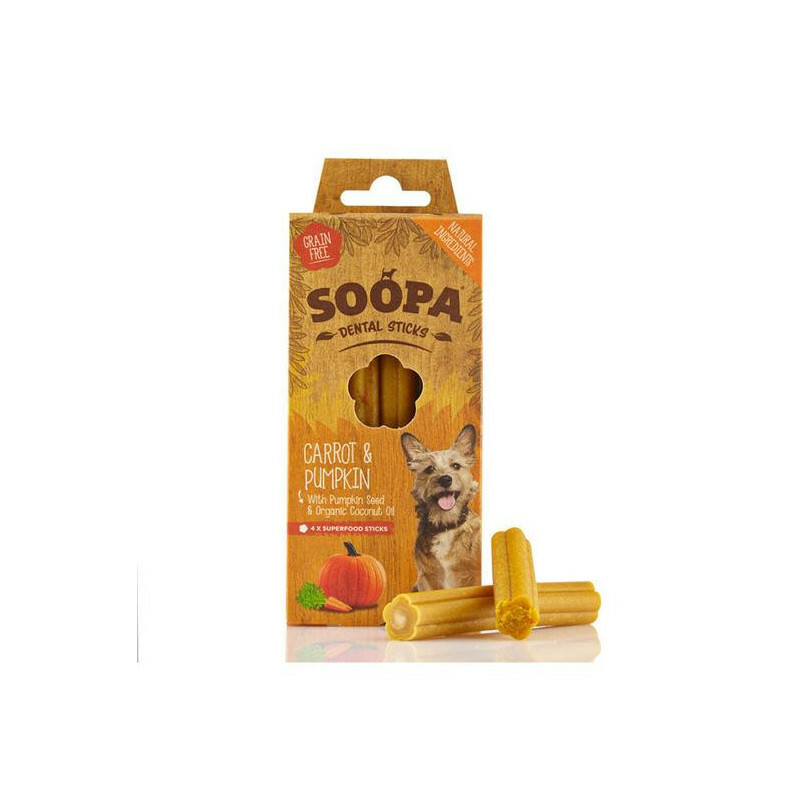 They may help protect your dog against intestinal parasites. 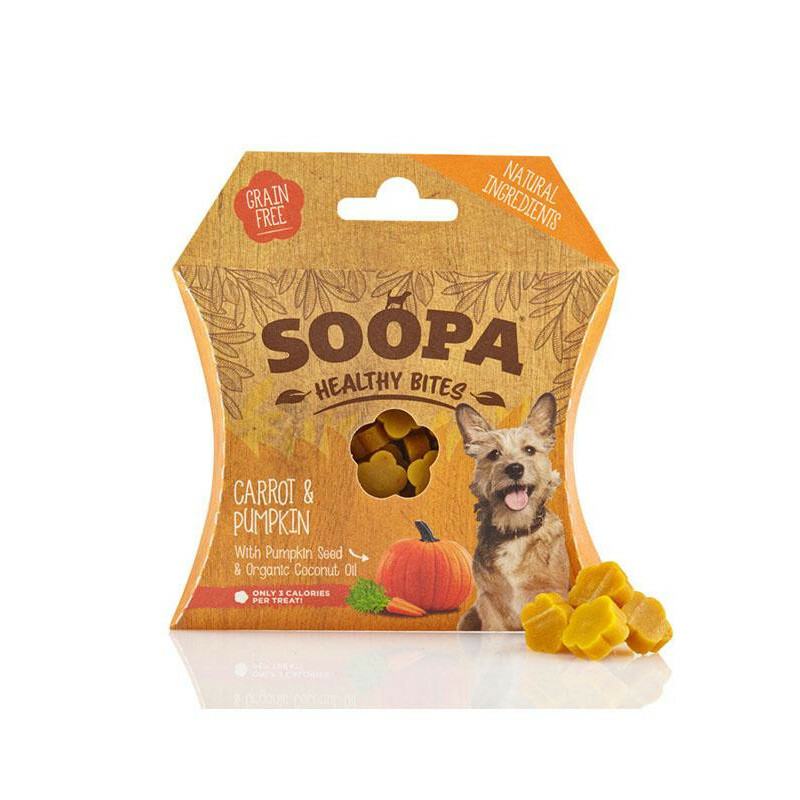 This treat contains coconut oil too, and turmeric, great for calming inflammation. 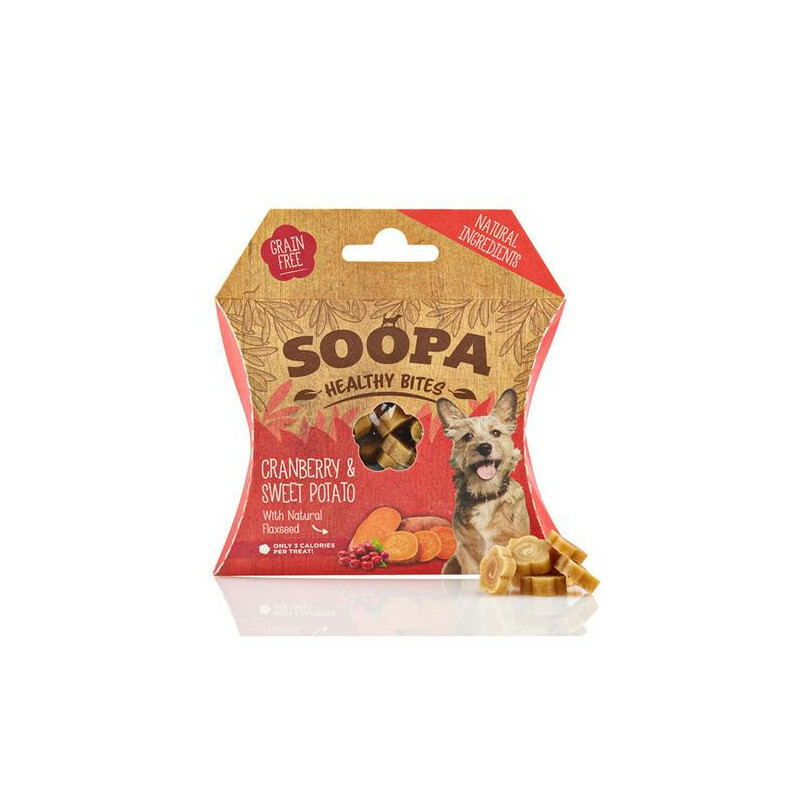 Cranberry is full of anti-oxidants, fibre and Vitamin C which are said to be great for dental health, bad breath, immune support and of course fighting urinary tract infections. 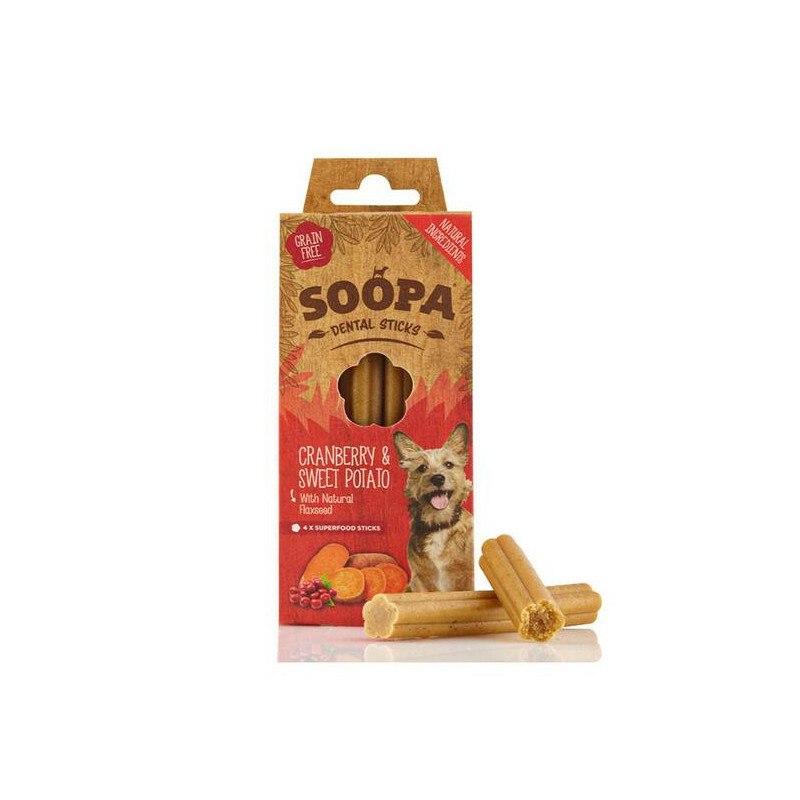 These treats have added flaxseed, a great way to aid digestion.